If simplicity is your style mantra, then this top from Marie Claire will surely become your instant favourite. 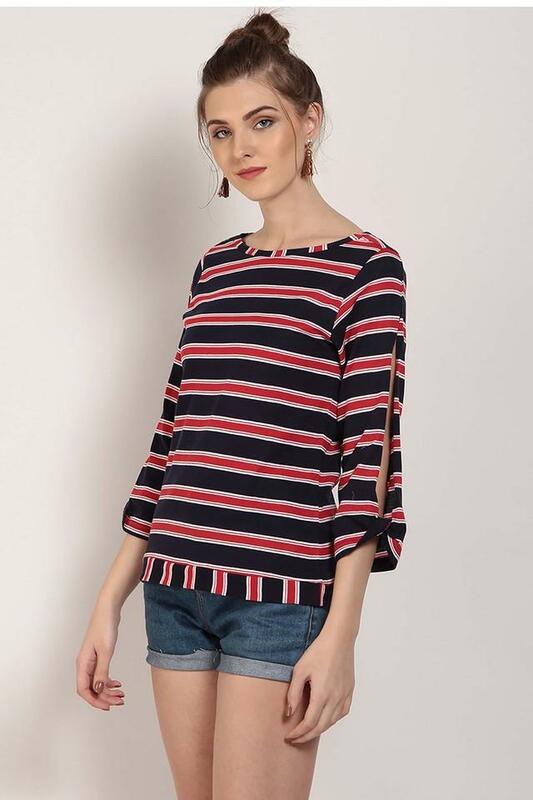 It is tailored with care using premium quality fabric that will keep you comfortable all through the day. Featuring a stripe pattern, it looks classy while the round neck makes it more appealing. 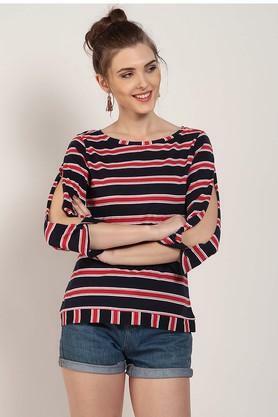 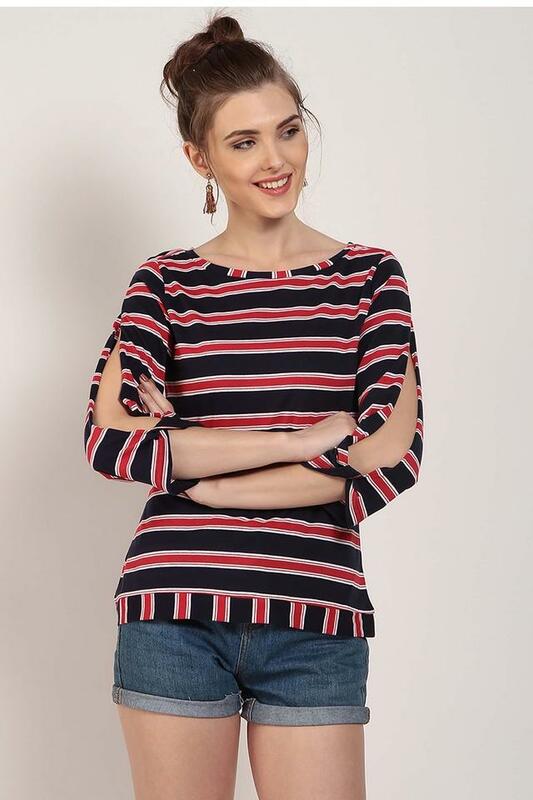 Express style better by wearing this top, which features a stripe pattern. 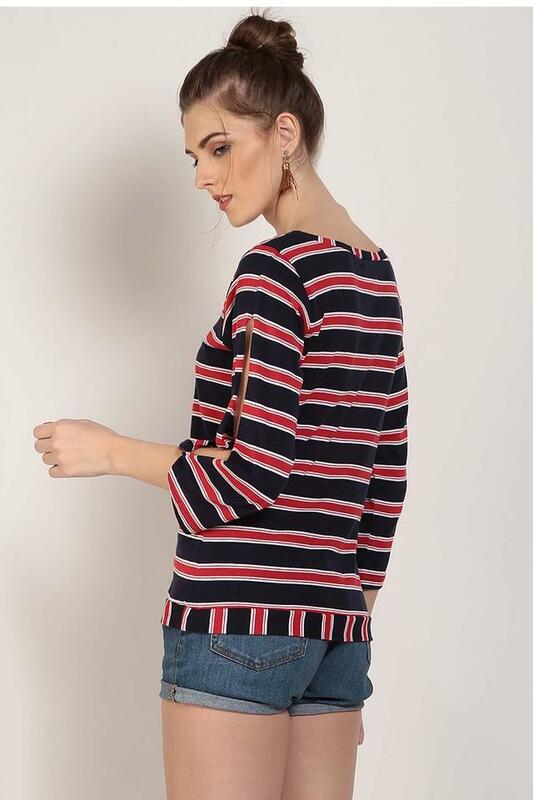 You can team it with a pair of jeans to look cool for a casual outing with friends.